A place for users to show off their creativity in the forms of art, music, movies or games. Fantastic! the detail is great every scale sticks out and you count each and every one and I like how you had the necks be serpentiene with them twisting around and sells the fact they are independent of each other, I only have 3 complaints the heads expressions seems a bit to experient Showa was less experient and had more of just a same evil expression but I like it, it gives them personality and a nice stylization. and the hair on the one firing his beam due to the angle makes it seem like he is balding and the hair didn't go all the way around (Though it does make sense in Universe considering how much stress he must experience when he arrives on Earth ) but it allows us to see more of the neck design and spikes which is cool and I like it I prefer my Ghidorah hairless but other than that it's fantastic, I also like the fire you put behind Ghidorah giving us a hint on how much destruction he's causing without us seeing it I like it! thank you for making it for me. Wow, what a critique! Thank you so much for the kind words! If you ever want another picture, you can go ahead and ask for it. Hey You! Do you like Comics?! Me too! Which is why I Partnered With my Best Friend to Create a Comic that we Love to Make! It's Called "Roomies!" Please Check it Out if You're Interested! And here's the official Twitter page! Give us a follow for updates, please! Thanks! 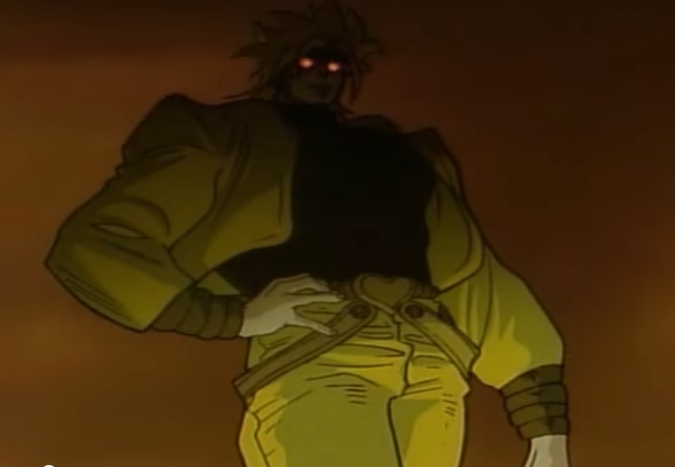 I plan to set up a avatar rotator and use it as one of my avatars, I just need to find a rotator that doesn't need me to sign up for a account mmn, could you please draw me a Godzilla 2000? same way as the Gigan, Ghidorah and MUTO pictures? g2vd wrote: Thanks! I plan to set up a avatar rotator and use it as one of my avatars, I just need to find a rotator that doesn't need me to sign up for a account mmn, could you please draw me a Godzilla 2000? same way as the Gigan, Ghidorah and MUTO pictures? Yessir! I'll get on it as soon as I can! Some War of the Worlds picture I made a while ago. Green actually looks pretty good on a Japanese G, I kinda want to see him use a green breath now in the future as like a new super beam. Monster Zero wrote: g2vd, here ya go! Sweet! it looks great the detail on the spikes how there curved and their accuracy beats out even the scales on Ghidorah, and I like that you had them charging up it makes it much more dynamic it looks perfect. and and the likeness is great all the scales match up with the suit though the tiny spike (Lines?) seem more prounced than on the suit but it has been a bit since I last saw G2K, I need to watch it again soon I have only two complaints the detail on the neck and torso look a bit off due to the line where the chest and neck meet, makes it look like they don't match and the arms are too short a little bit it seems and the jaw seems more rounded than long and crocodile like, but that's because of the angle but other than that it looks great! I especially like the hands and the claws detail all in all this is a great piece definitely worth the wait!. And I managed to find a avatar rotator so I was able to put up G2K, still trying to figure out how to get it to go to four images so I can put up Ghidorah. My signature image is something I made earlier. "Hedorah's Trashy Christmas"
Could'ja draw some Boba Fett for me? If it's too hard or anything I wouldn't mind a Gigan either. gigan72 wrote: Could'ja draw some Boba Fett for me? 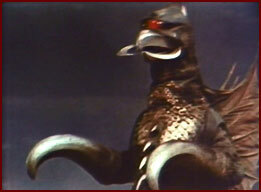 If it's too hard or anything I wouldn't mind a Gigan either. 4 months later: I just remembered I had to draw Boba Fett and Gigan for ya! Holy Mello Yello! I'll get on to those asap!! The cover for Me and my best friend's Joke album that we're working on. Crappy quick drawing of my cartoon character. My favorite character that I even helped create with my friend for his story and such. I love the idea. If you wanna know more about this story and this character, PM me. And, yes, Gigan, I am sorry for not drawing your requests 4 months ago. Please don't turn into a space diamond and fly your way over here and beat the blood outta me, please? Fine, but i'll only do it just this once. That's the first time I've drawn Boba Fett. I hope you think it looks alright. A parody poster of Ghostbusters that none of you would get because blah blah blah, but either way I wanted to show it. Fan of Godzilla, Pacific Rim, Sailor Moon, and Transformers. Dezerb wrote: buenos ding dong didily dias senor﻿.